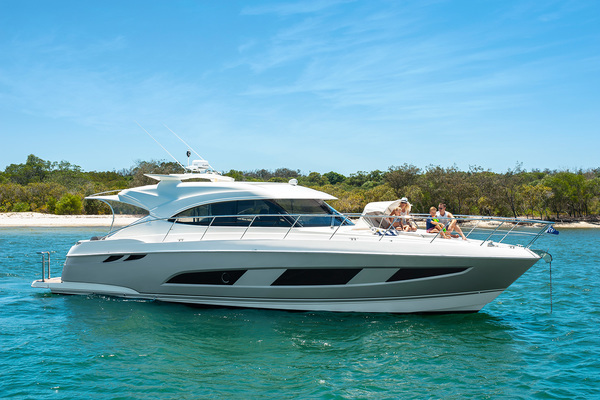 NEW Riviera 4800 Sport Yacht for sale - sleek styling, leisurely single-level living, premium levels of luxury and superb sea-keeping capabilities. Call today! 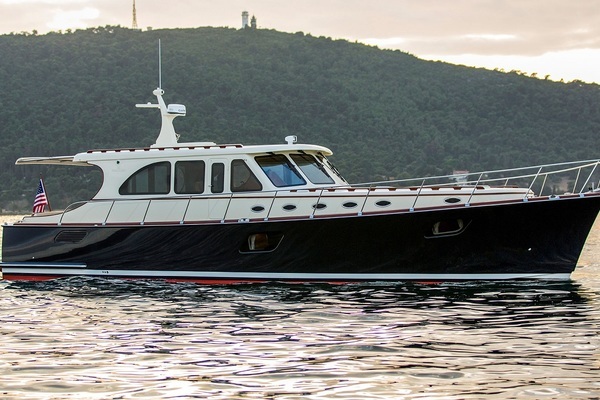 In Riviera's long history, they have produced many new vessels. 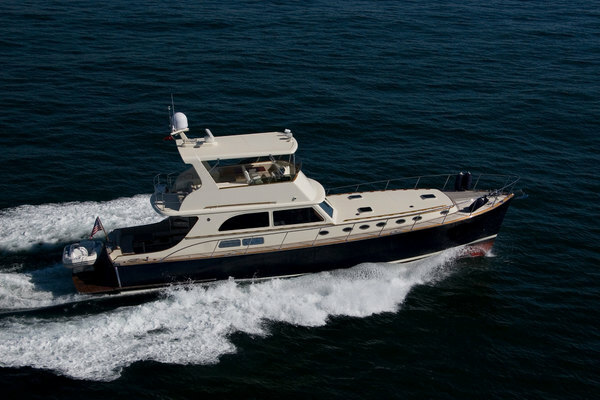 But none have challenged traditions or the assumptions on which boats are generally built, quite like Riviera's Sports Yacht series. 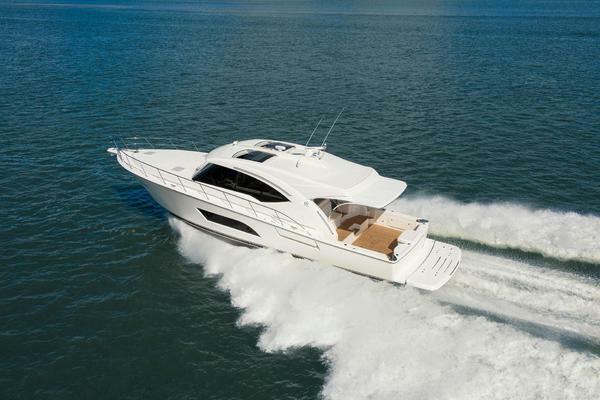 This is especially true of the Riviera 4400 Sport Yacht, a boat rich in innovations – some quite radical. As you will discover, commitment is expressed in a myriad of ingenious ways. 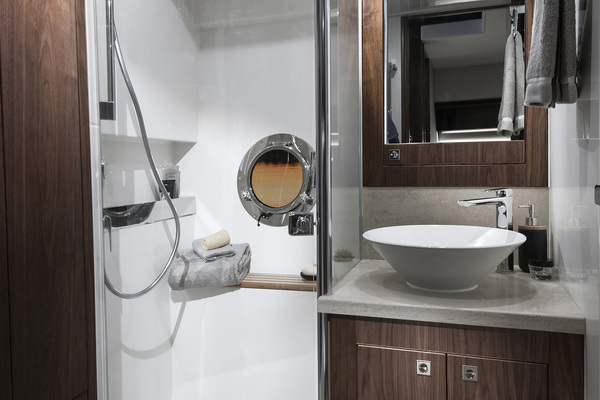 For our designers, details make all the difference, and they are forever asking how they can make life on board as smooth and pleasurable as possible. 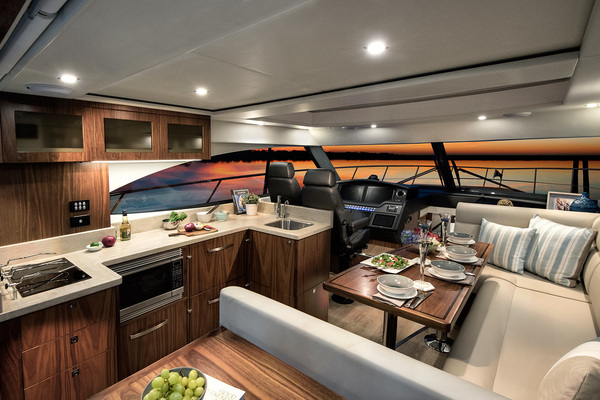 They have the answers with the 4400 Sport Yacht, and a number of firsts, including resin infusion, joint Volvo and Riviera design thinking, and IPS drive technology! Clear skies, blue water, fine food, family and friends together… it’s an idyllic scenario. 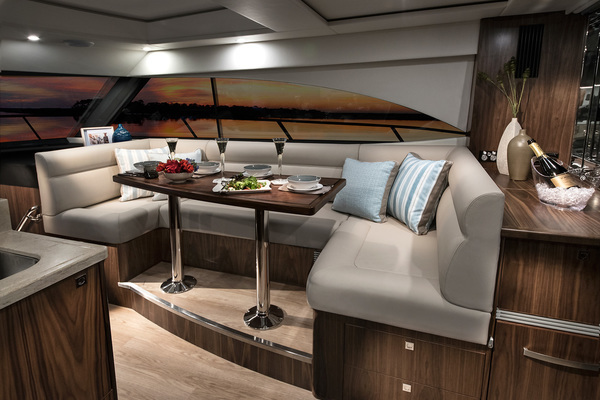 But the picture looks even better when you're aboard the Riviera 4400 Sport Yacht because of the way Riviera anticipates your needs and caters to your comfort. 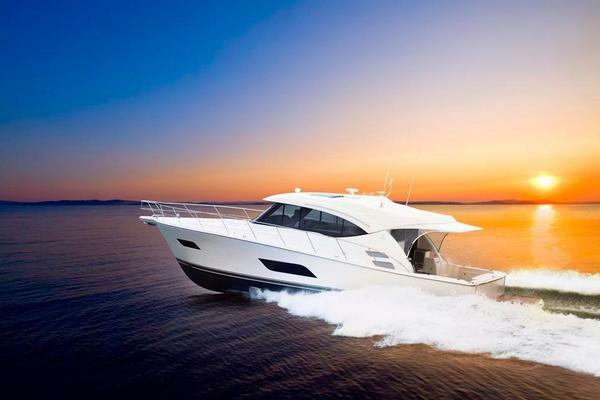 Riviera owners are typically experienced boat owners with high expectations. 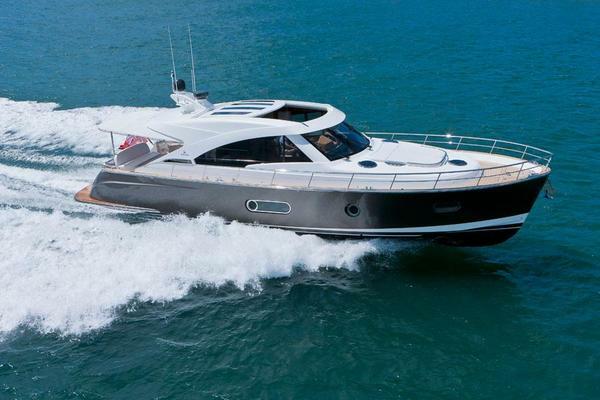 With this Sports Yacht, Riviera has exceeded those expectations… and we look forward to your inspection. 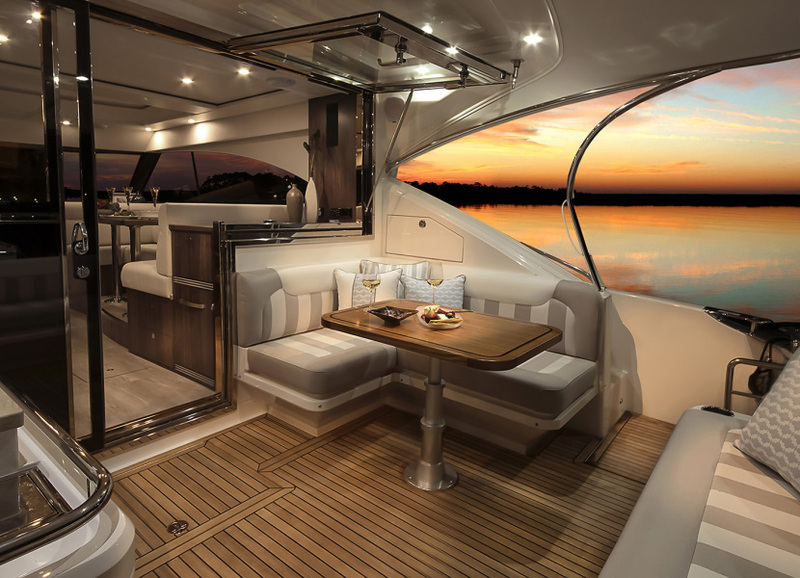 The most dramatic and pleasing feature is the huge, stainless-steel framed window and pillarless door between the cockpit and saloon. Once open, the easy flow between the two areas not only creates a refreshing, relaxed ambience, but is also immensely practical. 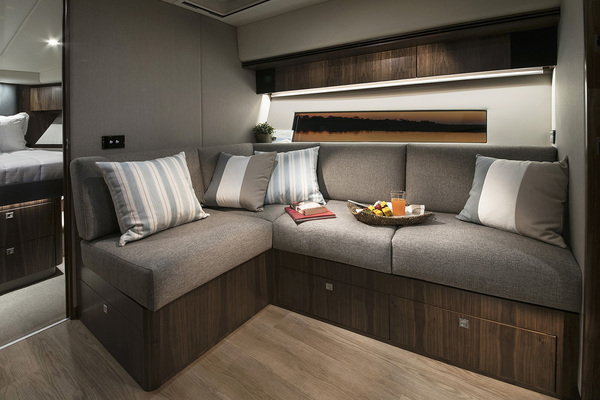 In the cockpit you can stretch out on a generous lounge and take advantage of a table that adjusts (gas assisted) to serve as a dining table, coffee table or day bed. 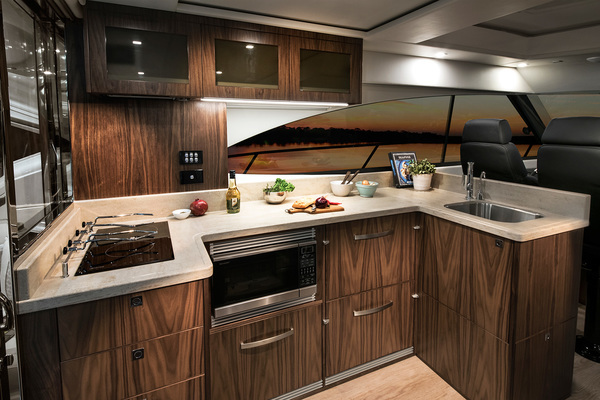 For your refreshment, there’s a full wet bar with sink, solid-surface benchtop, stainless-steel refrigerator and optional ice maker. 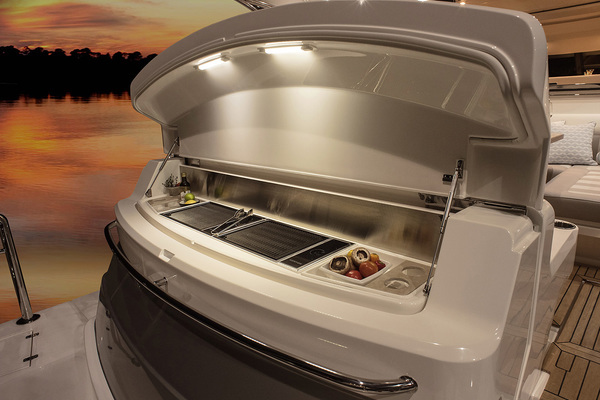 Fenders or other bulky equipment can be neatly stowed away in the enormous storage locker in the rear of the transom. The swim platform has also been thoughtfully designed with its concealed swim ladder and, if you have a tender, can be fitted with an optional hydraulic lift. Even access to the engines has been carefully considered. There’s a small opening in the forward area of the cockpit for general inspections and a large section of the cockpit floor can be raised – using a remote-activated electric control – for full engine-room access. For Riviera's designers, details make all the difference and they are forever asking how they can make life on board as smooth and pleasurable as possible. 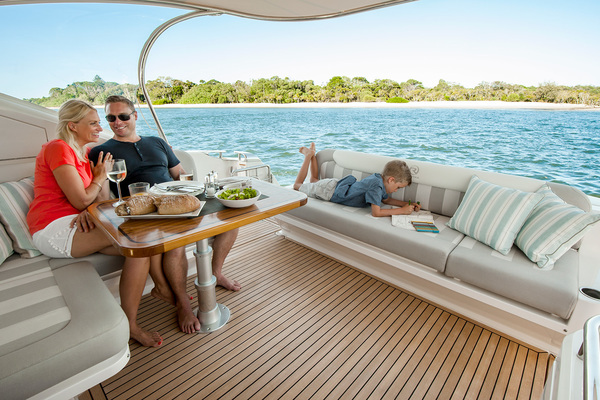 Take the sun pad on the foredeck: it has safety rails and drink holders, it comes with a cover, is self-draining and has a wind deflector incorporated at the front edge to prevent lifting in a breeze or when cruising at speed. 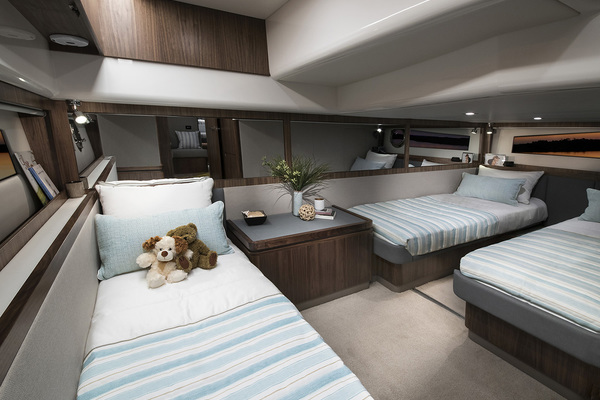 Access to the foredeck is also that much safer and easier by virtue of wide walk-around side decks with courtesy lights on the steps either side of the cockpit. This is just one example of an approach often commented upon, and that is 'a lot goes into a little on a Riviera’.? 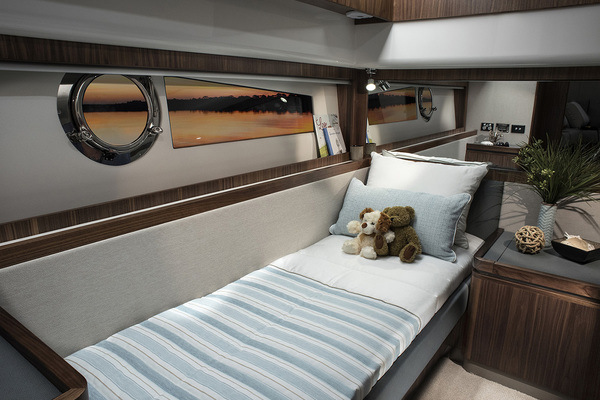 In the saloon, the sense of space and light created by opening the cockpit door and window is enhanced by a huge, electrically operated sunroof and large, tinted, side sliding windows. 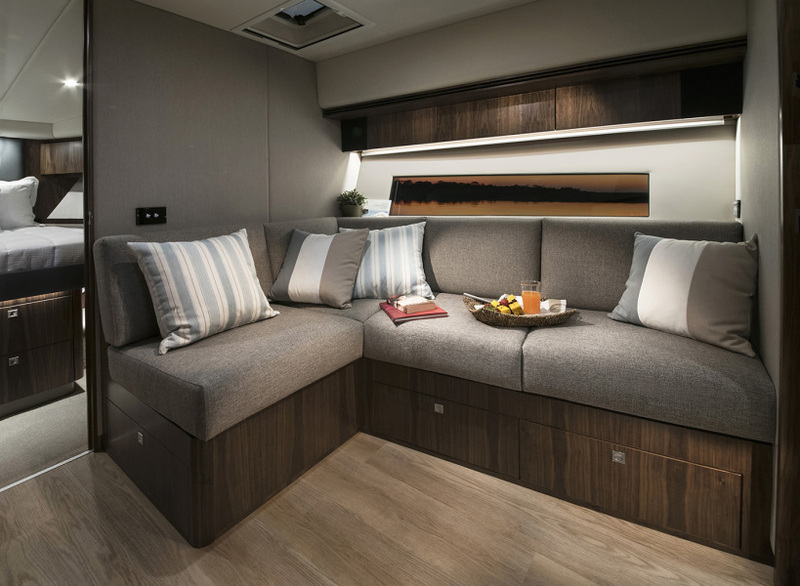 Combined with contemporary fittings and finishes – such as Amtico flooring and high-gloss American Cherry timberwork – you have a stylish, ultra-modern interior. 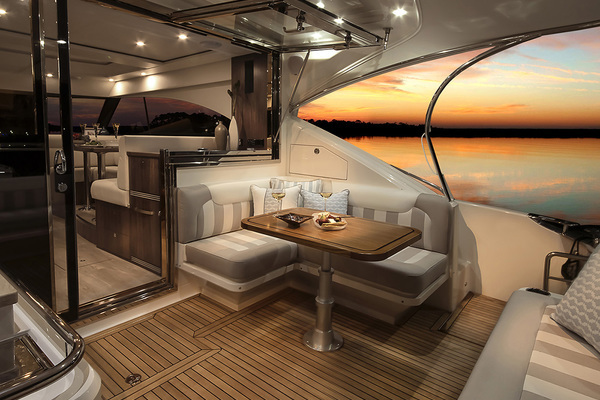 A well-equipped interior it is too. 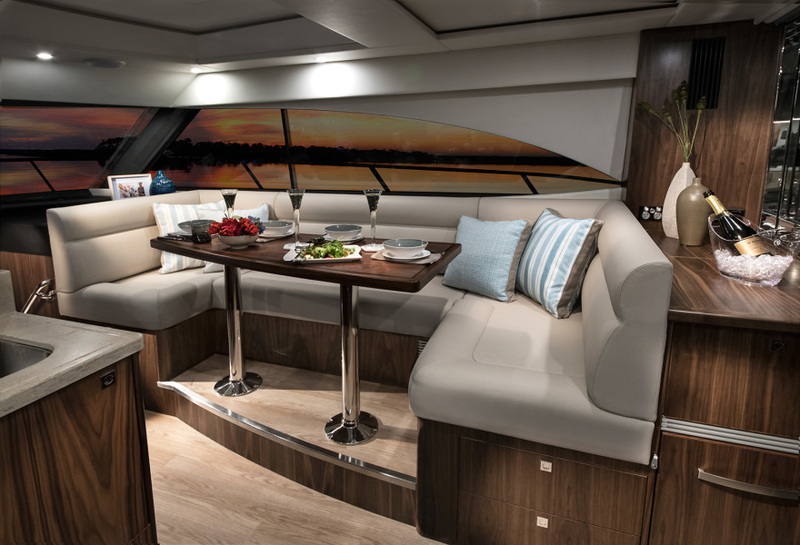 There’s a deep leather lounge, adjustable high/low table, plenty of storage, a liquor cabinet, a first class entertainment centre including a 26” LCD TV… and a galley with all the equipment, cupboard and bench space you need to cook up a veritable feast. The layout of the helm, the visibility of the instrumentation and the view afforded by the massive windscreen (complete with freshwater washers and pantograph wipers) inspires confidence. And all from the comfort of a highbacked, electrically adjustable, leather-upholstered helm chair. 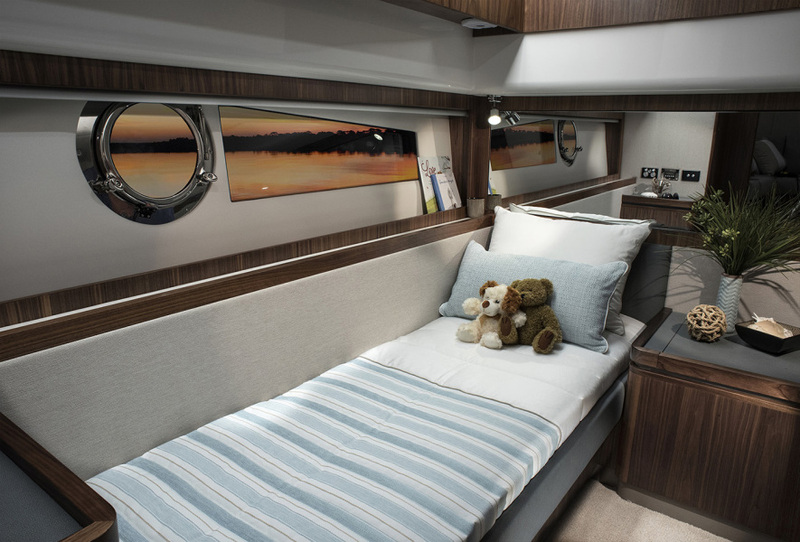 Below decks you will find a companionway with a full-height pantry or linen cupboard and room for optional appliances. 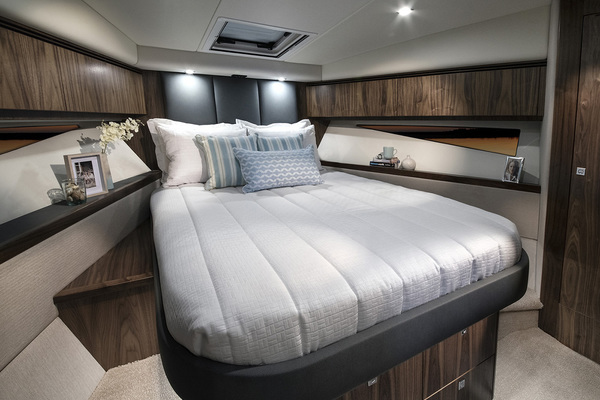 Then there’s the full-width aft stateroom: due to the space savings of the IPS drive system, this is a surprisingly large guest cabin that easily accommodates a single berth and queen bed together with ample wardrobe space. 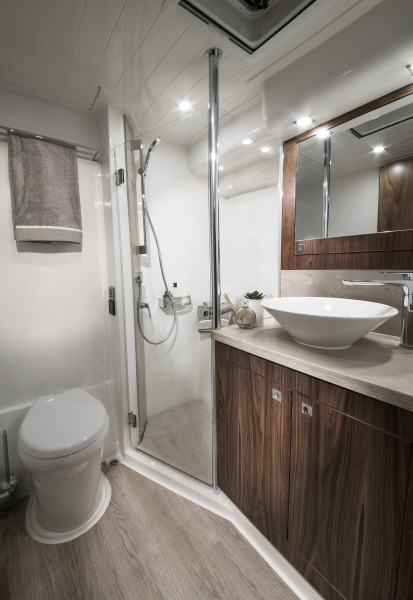 With dual entry, the bathroom serves as both an en suite and for general day use. 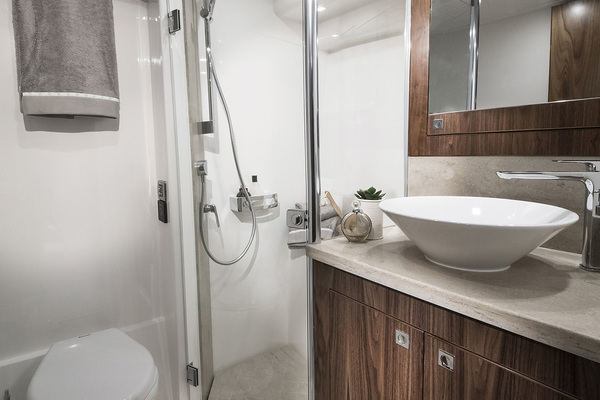 Like the en suite off the master stateroom, this is a thoroughly modern space with frameless shower-stall door, glass basin and high-quality tapware. The master stateroom itself is most luxurious. 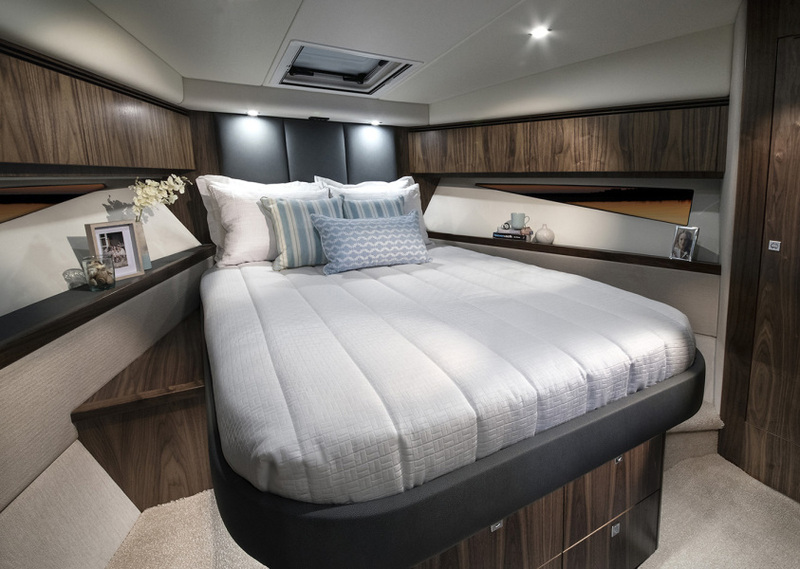 From the comfort of the queen island bed with its innerspring mattress to the cedar-lined lockers and large deck hatch, this is a cabin that caters to the most discriminating boat owner. 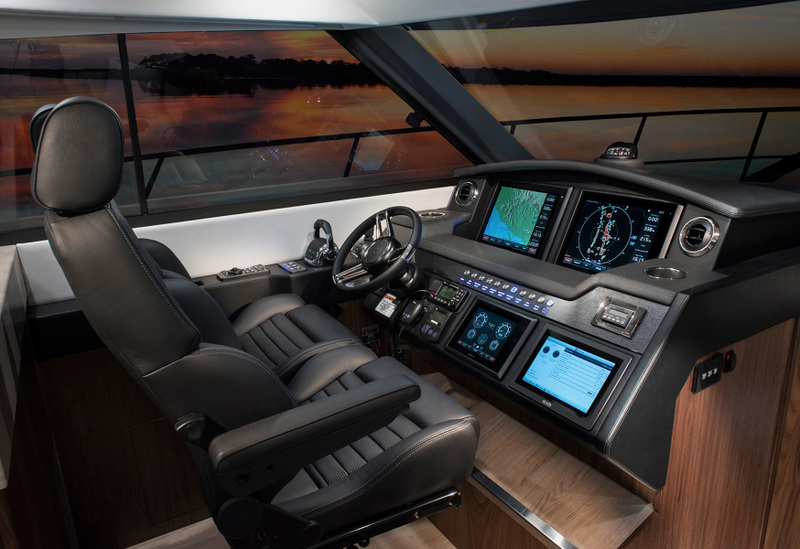 Joystick control with the Volvo Penta IPS drive system provides you with the ultimate control of your boat when docking or in tight manoeuvres. As you approach a marina, jetty or mooring, simply center the wheel, move the engine lever controls into neutral, then press the left-hand button below the IPS joystick. Now you’re in joystick control. You don’t need to touch the wheel or the lever controls again. In fact, neither wheel nor lever control will respond while you are in joystick mode. The engines are limited to 1,000rpm in this mode to ensure you can’t accidentally find yourself going too fast. Then simply – gently – push the joystick in the direction you want the boat to go. Any direction – a full 360 degrees. 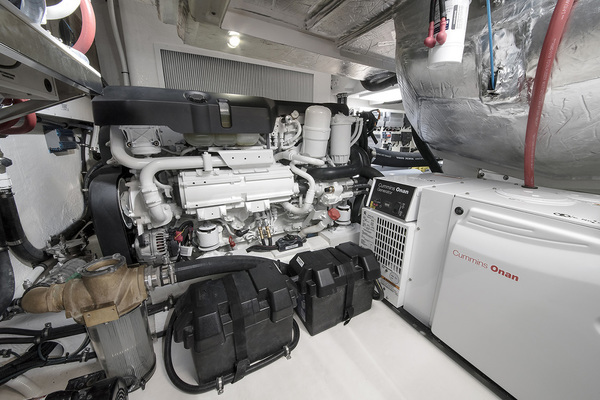 The Volvo Penta IPS computer system automatically works out the best configuration of drive unit position and throttle to move the boat in that direction. 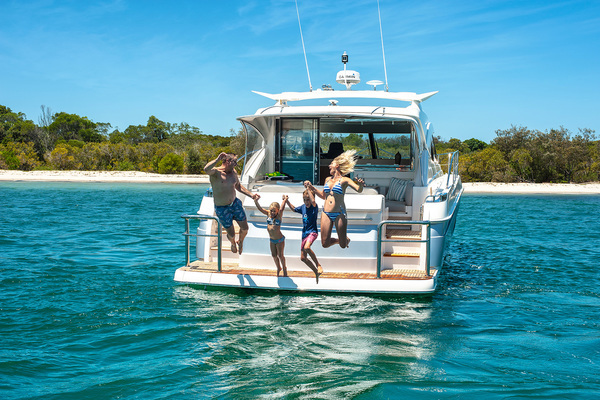 If you want to spin the boat around or simply correct the bow or stern position as you close on a dock, let the joystick return to vertical and twist the knob on top of the joystick the way you want the boat to turn - a small correction or a full 360 degree spin in either direction. Engine revs are controlled by how far you push the joystick or twist the knob. If you need to move very slowly, just ease the joystick in the direction you want to go. 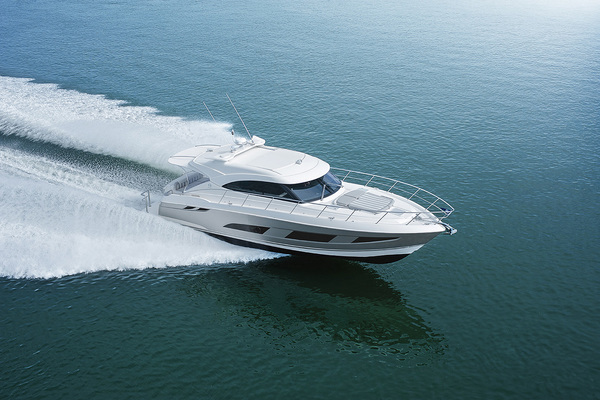 If you need some additional revs to counter wind or tide, push the joystick a bit further in that direction and you increase engine revs. 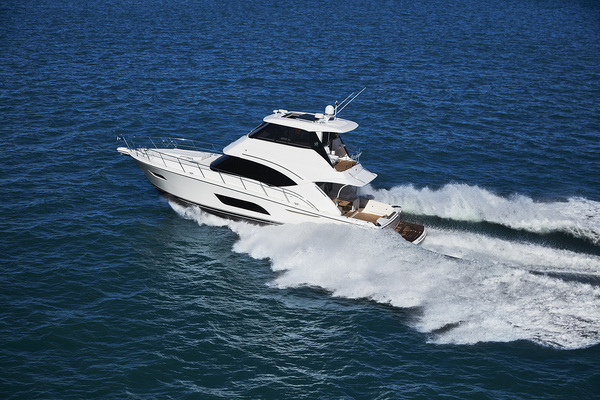 To slow again, simply ease off, keeping the joystick pressed in the direction you want the boat to go. If you find yourself in particularly difficult conditions, with strong wind, current or tide, and you need additional engine power, push the second button on the right side of the control unit. That increases available revs to 1,600rpm. 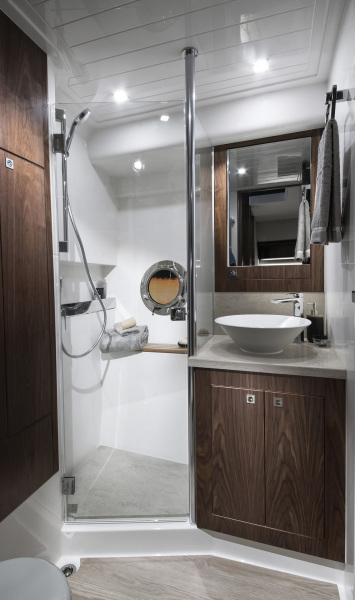 Using the unit to manoeuvre out of your marina pen, away from a dock or jetty or a mooring, engage joystick mode by pressing the button below the joystick. 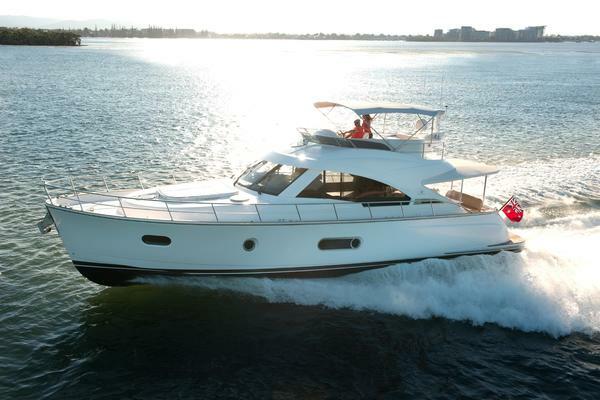 When you are safely in open water, press the button again to disengage joystick mode. Now you can drive as normal with the wheel and lever controls. 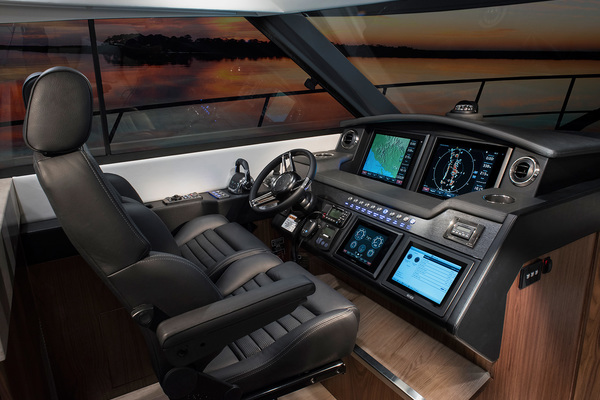 The Volvo Penta IPS joystick system takes all the pressure off berthing your boat – whatever the strength of the wind or tide.? 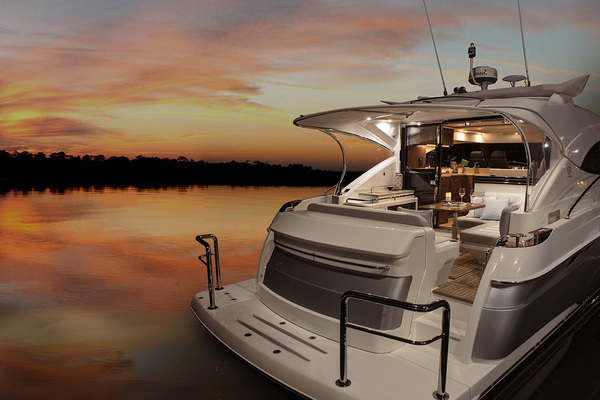 Electronics play an ever-increasing role in the pleasure, performance and safety of luxury boats, and the choice of equipment that is available today is vast. 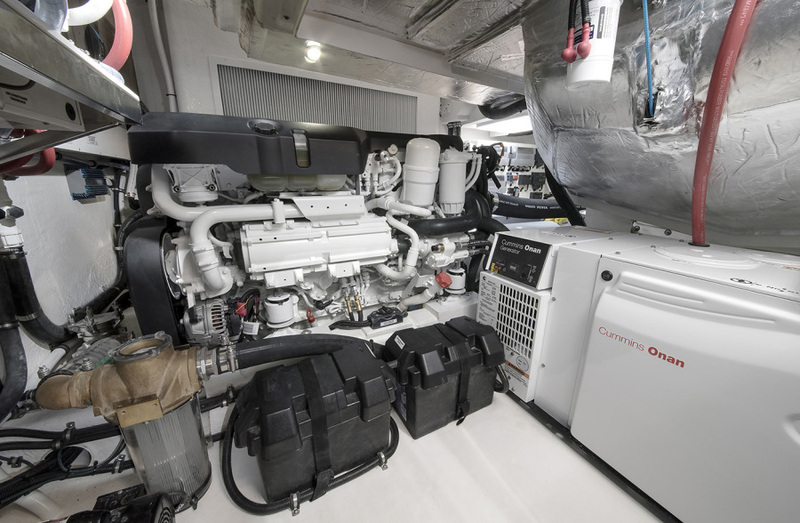 In fact, selecting the equipment that meets your needs can be a very challenging task. R Electronics is here to help: we source the best systems and products from around the world, we are experts at matching technology to individual requirements and work closely with Riviera's design team and Riviera's global Dealer Network to create systems that maximise your pleasure and safety. 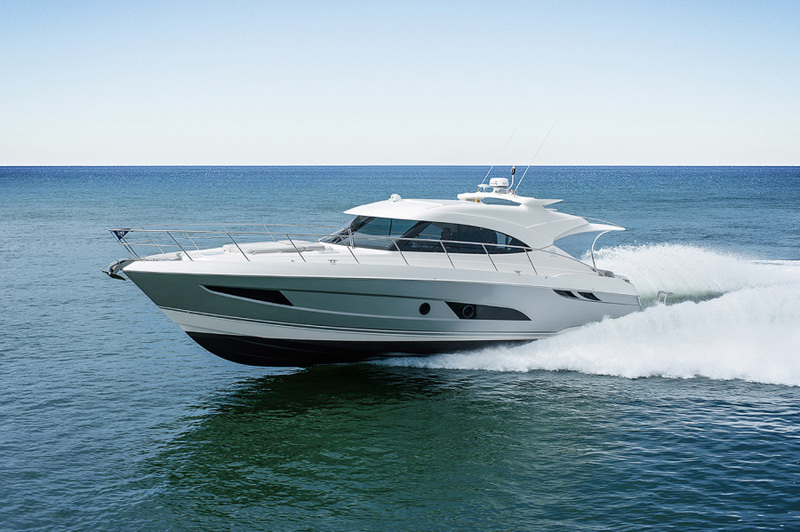 Riviera warrants to the first retail purchaser during the periods herein that it will, subject to the terms and conditions in the full Riviera Group Warranty, replace or repair, at its option, defects caused by faulty workmanship or materials under normal use and service during the first twelve (12) months and (5) years for hull structure. Please refer to your Riviera Owner’s Manual and your Riviera Dealer for full details of the comprehensive Warranty. 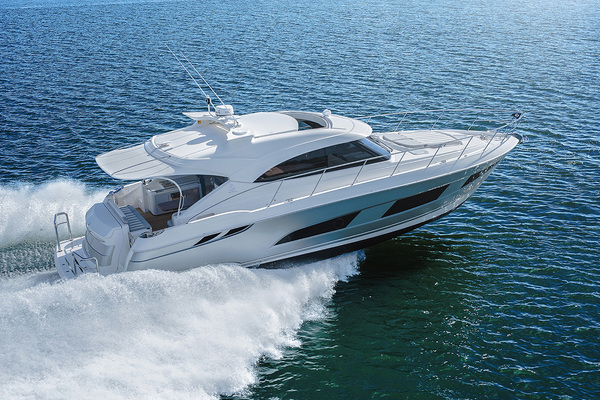 Due to The Riviera Group’s commitment to continually improve our products, we reserve the right to modify or change, without notice, any materials, specifications, equipment and/or accessories. All measurements quoted are approximate and pictures and drawings displayed are indicative only. 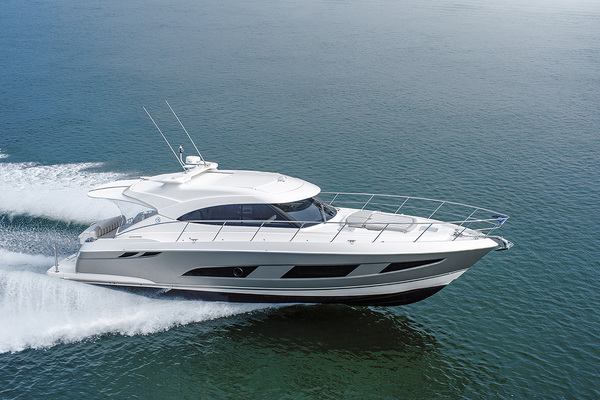 The Riviera Group is committed to building the best luxury cruisers, tailored to suit specific countries and their individual compliance laws and regulations. 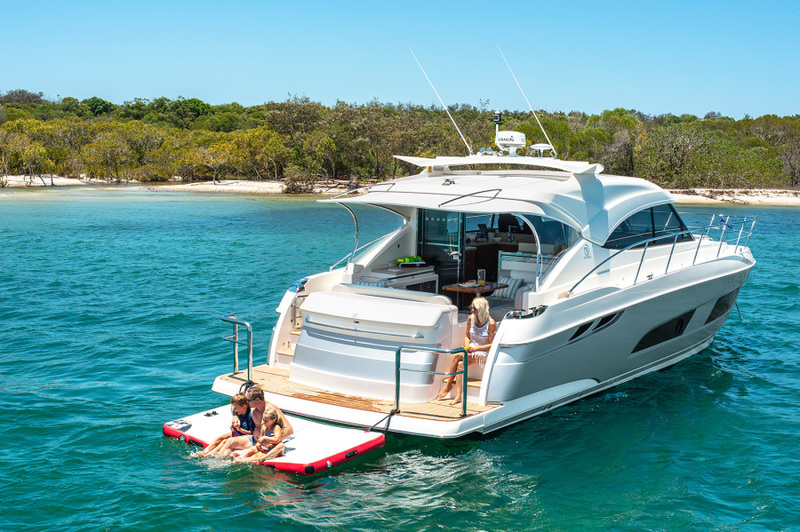 Riviera equipment and build specifications approved for one country may not be compliant with another country’s safety and equipment regulations and as such those cruisers may have no recourse to The Riviera Group’s extensive manufacturer’s warranties. Each country and State has different safety equipment standards. 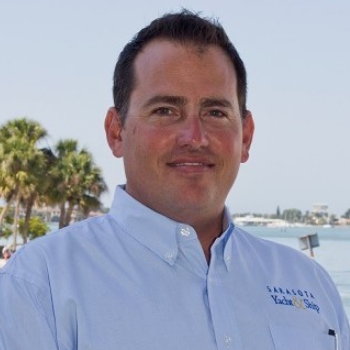 It is important that you ensure the requirements in your jurisdiction are met prior to the vessel being used. ?